Elio Zagato, son of the founder of the Italian coachbuilder Zagato, died on September 14, 2009, the company said in a news release. He was 88. Known to many by the nickname “Dr. Elio” — though Enzo Ferrari referred to him by the fond diminutive “Zagatino” — Mr. Zagato not only oversaw the creation of classic car bodies for Alfa Romeo, Fiat, Lancia and other makes, but also raced them. After World War II, he was part of the dolce vita culture of the gran turismo racer, where amateurs rubbed shoulders and traded paint with professionals. He raced in the same cars and on the same tracks as Juan-Manuel Fangio and Tazio Nuvolari. Mr. Zagato at the Avus racetrack in Berlin. 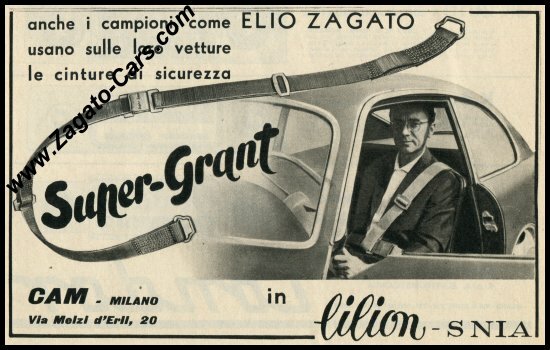 In 1919, Elio’s father, Ugo Zagato, left his job in an aircraft company to establish a firm near Milan to adapt aeronautical construction to car bodies. 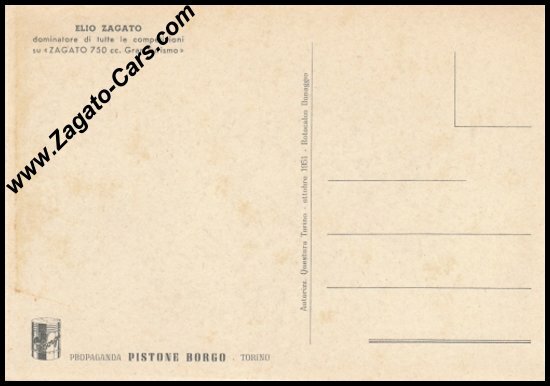 The Zagato carrozzeria was known for racecar body innovations. During its aerodynamic period in the 1930s, Zagato led the way in covering wheels with sleek covers, tilting grilles and windshields. 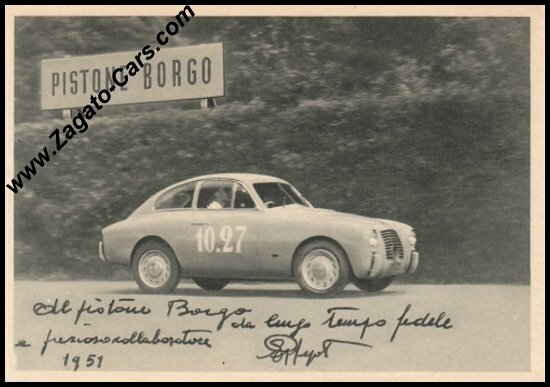 Zagato bodies were famously light, thanks to material innovations like Plexiglas and structural innovations like the famed “double bubble” roof, arched for strength, and later imitated in cars like the Dodge Viper. The company pioneered aerodynamics with trademark forms like the split or stub tail (or coda tronca). During the Panoramica period of the late 1940s, the company’s trademark large greenhouse style was applied to models from many makers, including MG. Over the years, carmakers like Ford, Jaguar, Rover, Volvo, Bristol, Aston-Martin, Bentley and Rolls-Royce went to Zagato at least once, like a society belle commissioning an evening gown. Ugo Zagato and his company prided itself on simplicity. In 1947, Elio Zagato received a rebodied Fiat from his father as a graduation gift. He joined the family firm, along with his brother Gianni, who was born in 1929 and survives him, and soon went racing. Elio competed in 150 races, the company said, winning 85 of them, including the Targa Florio, several Coppa Intereuropas and a 1955 competition at the Avus circuit in Berlin. In recent years, Zagato has produced mostly high-style one-off designs — haute couture for collectors in which a classic marque and model name are followed by the simple suffix “Zagato.” One example was the Maserati GS Zagato, shown in 2007 at the Concours d’Élégance Villa d’Este in Cernobbio, Italy. It paid homage to another Zagato, the Maserati A6 G Zagato from 1954. The company’s press release for that car outlined its ambitious view of mission and was in the spirit of Elio Zagato: “In homage to the tradition of the gentlemen drivers who asked Zagato to transform the bodywork of their cars, modern collectors choose mechanics at the top level of technical evolution and ‘dress’ them in tailor-made garments that increase in value as time passes. Earlier this year, Zagato showed the Perana Z-One concept at the Geneva auto show. And its Ferrari 575 GTZ was widely praised.